Growing up with grandparents living in the midwest, we always looked forward to our annual visit to the John Deere Museum in Moline, IL! Getting to ride and learn all about John Deere history and tractors fascinated my siblings and I. After a couple years, we finally received our very own tractor replica and started a collection! Now, 15 years later, our collection has grown and our love for John Deere s growing right along with it! But oh how my siblings and I wished we had the detailed and life-like trucks and tractors that they have today! Description: “Moo”, “neigh”, and a “yeeh haw”! 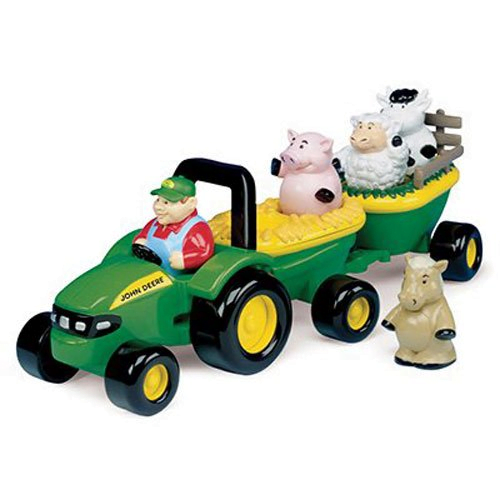 Your child will love to build and pretend with this adorable, mini, life-like toy farm set! The set includes four tractors, one ATV, two wagons, one disk, two trucks, a horse trailer, an anhydrous tank, four cows, four horses, one machine shed, and eighteen fence pieces! What’s not to love? Not only does it come with tons of interactive pieces, but features like working doors and removable roofs are what make this toy extraordinary! 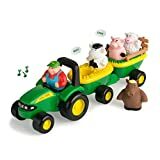 Description: “Old McDonald’s had a farm!” With this fun, sing-along toy, your child will be chanting his favorite tunes while learning all about animals and their noises! When out in the correct seat, each adorable, toy-sized animal makes it’s own special sound! Description: Boring days in the sandbox will never be the same again! 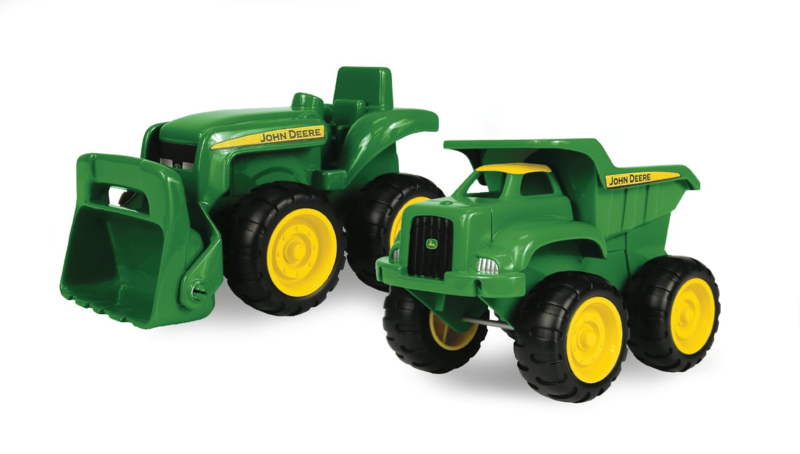 With this two piece John Deere tractor set your child will never want to stay inside again! Durable plastic, free rolling wheels, and functioning parts make for a perfect and safe playtime! Description: Your child will just “light up” when they receive this monster styled truck with four oversized light up! Made with durable plastic and AAA batteries, included with the toy, this is the most perfect gift for that child who always look for that extra mile! Description: Spin, Stack,& Play! Boring and no fun are words you can put to the side when you give your child this toy! With educational and interactive features like preschool-based learning patterns they’ll not only enjoy playing with their new toy but also be gaining fine motor skills and recognizing animal sounds all in one! Description: With this fun and interactive toy, your child can pretend to be a handy man and fix his own car! With mini plastic tools, they can twist and fix their very own “Johnny.” Cute features like a smiling face and a toolbox that looks like a radio, your child won’t let go of their new friend, Johnny! Description: Endless fun is always right around the corner with this fun farm toy! 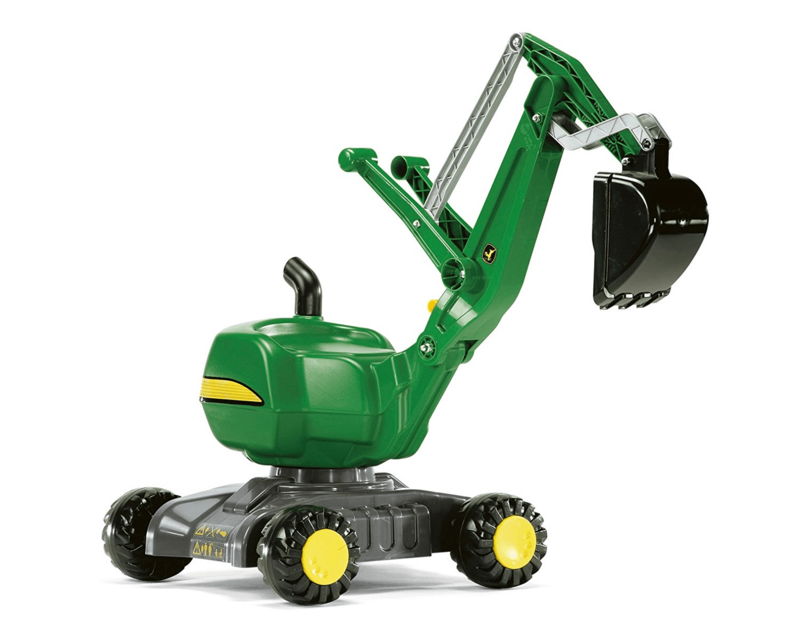 With features like two working scoops/shovels, lights and sound, your little one will not let go of his new toy! 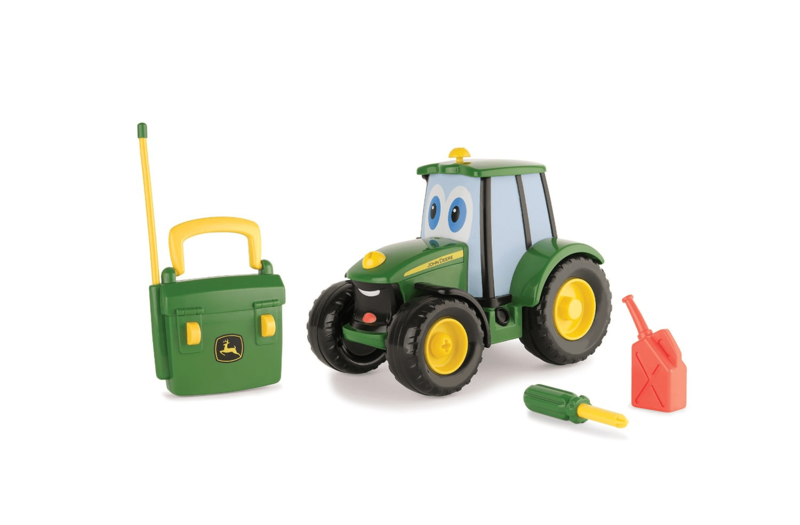 What tops this awesome toy off is that it comes with a small companion with a toolbox and tools! 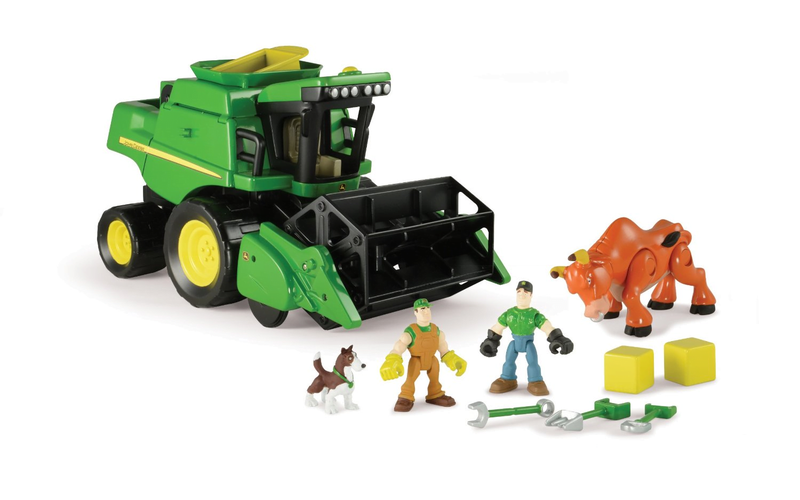 Description: This cool pack comes with two farmers, a bull, a puppy, two corn cubers, and three farm tools! I would say that’s the recipe for success! The truck also has awesome features like sounds, opening side panels, and flashing lights! 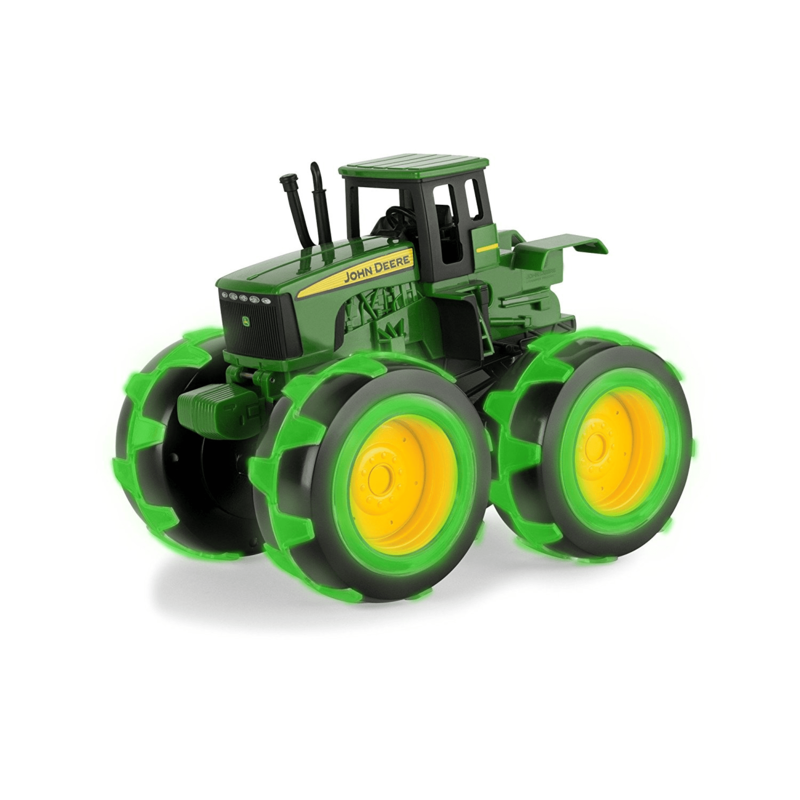 Put this toy and the “Ertle John Deere” toy pack together and you’ve just about hit the home run with gift giving! Description: Now, not only can your little ones pretend to be a farmer in his tractor, but the big kids can too! Not old enough to drive but want to feel the thrill of being on a real tractor? 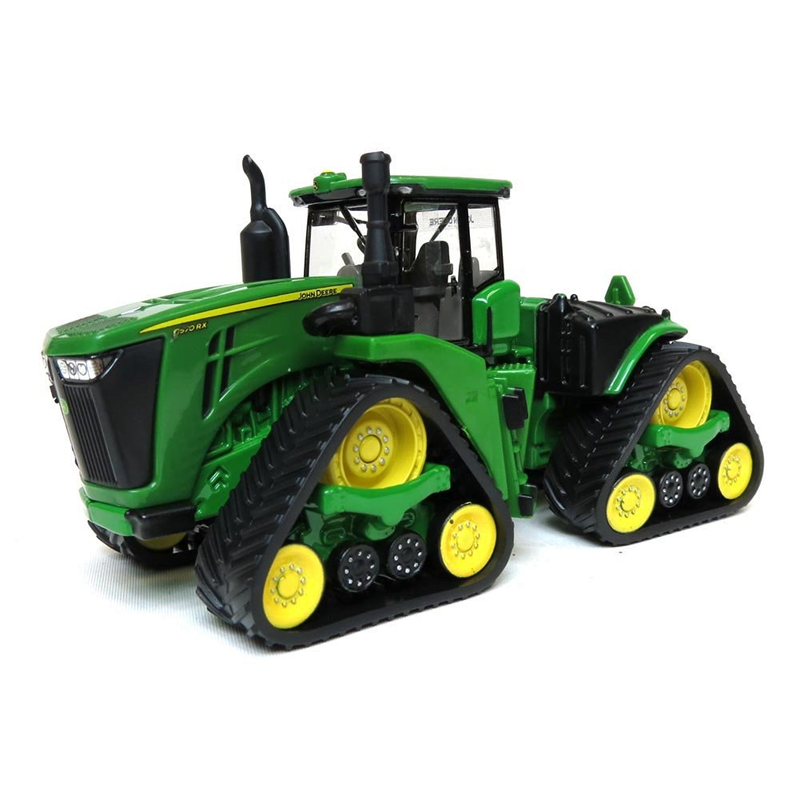 Just get this 1/64 replica of this John Deere Track Tractor! Trust me, even the teens will think this cool! 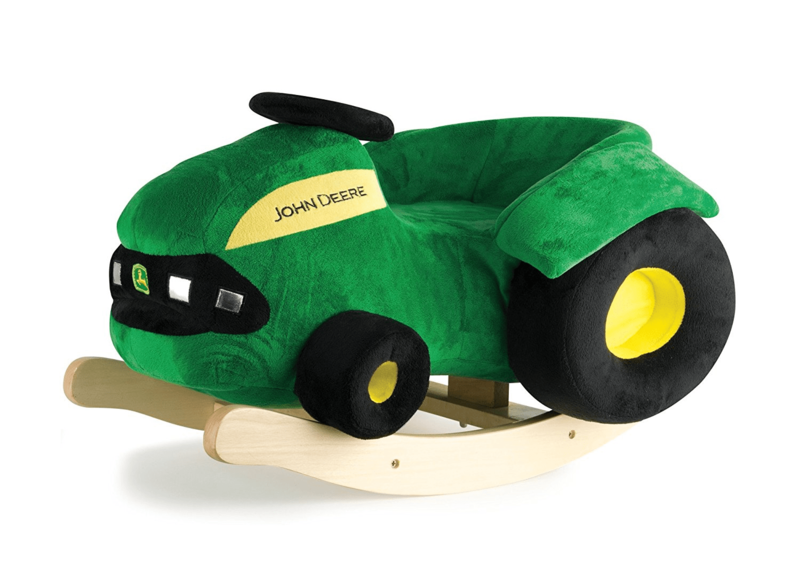 Description: But of course John Deere has ride on toys even for the itty bitty ones! Soft plush rocker made from quality hardwood and with features like easy grip steering wheel and gentle rocking motions, your little one is more than safe on this toy! Description: Pedal hard and fast! 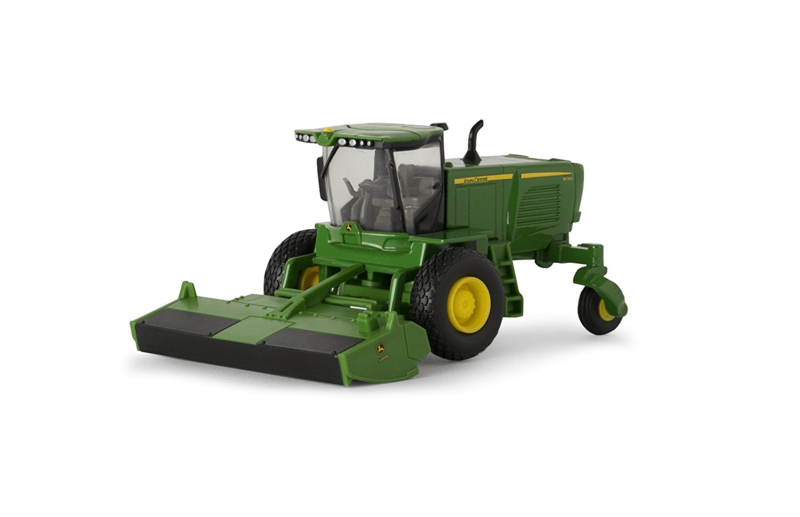 With this lifelike John Deere tractor, your child will be begging you to have some more outdoor time! Features like functional steering, pedal action, and adjustable seats are what make this toy not only safe for kids, but keep parents at ease! Description: Dig!Dig!Dig! 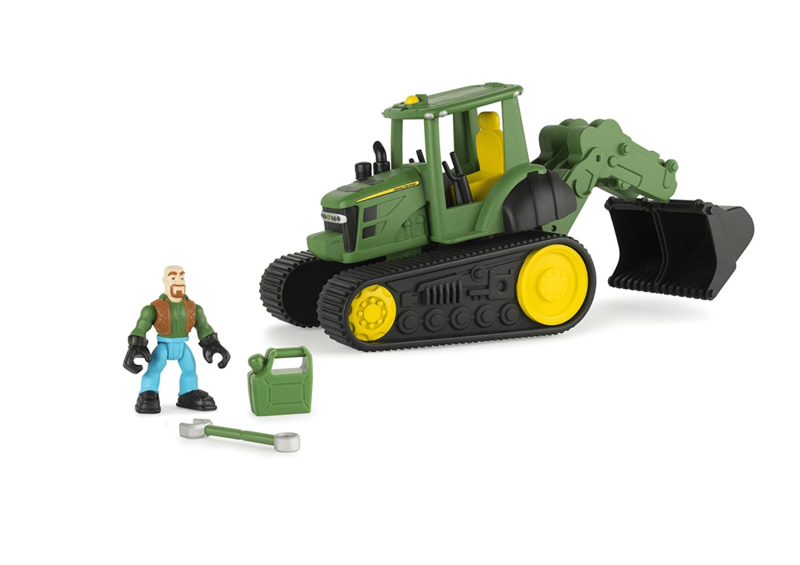 Your child will absolutely love getting to ride and function their very own John Deere Digger. With features like a large digging shovel, 360 degrees rotation. 4 balanced wheels for forward and backwards riding, and high impact blow designed for style and durability are what make this ride on, your child’s ride of their life! Description: Fun, interactive, and super realistic! 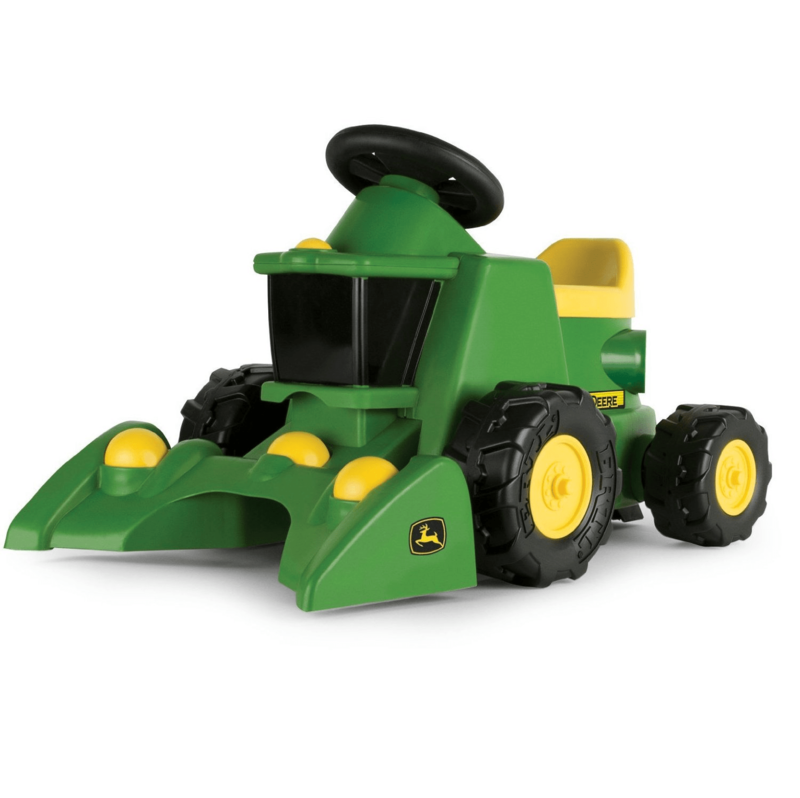 This life-like John Deere combine has features like independent and detachable cutting bar, movable reel and centering worm that make it one of the coolest toy trucks on the market. It also has a large grain tank can be emptied via an unloading auger, steerable, sculptured tyre. 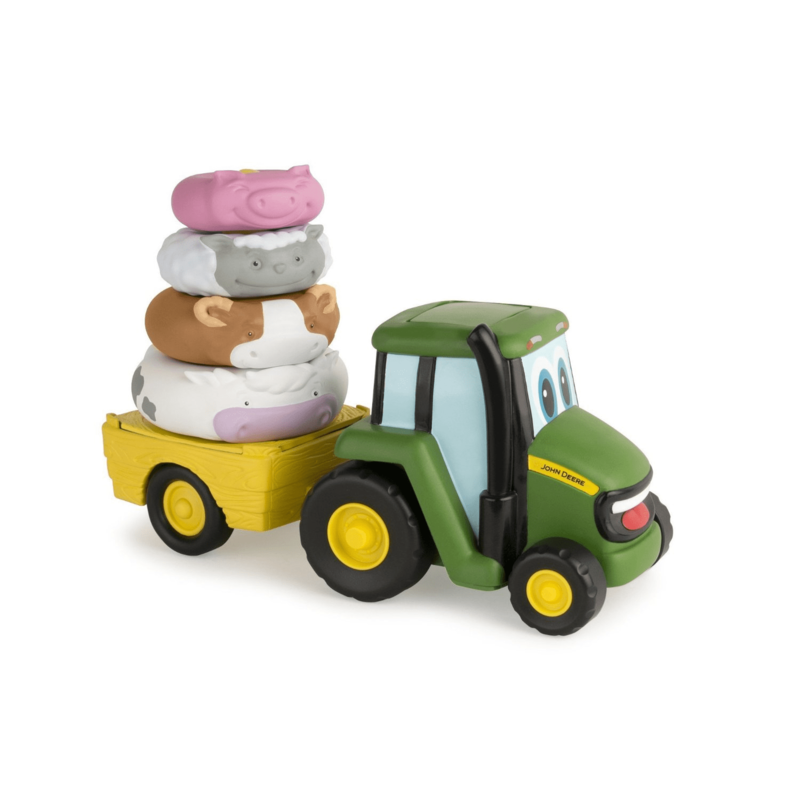 How much fun your child can have with this truck is up to your little farmer! 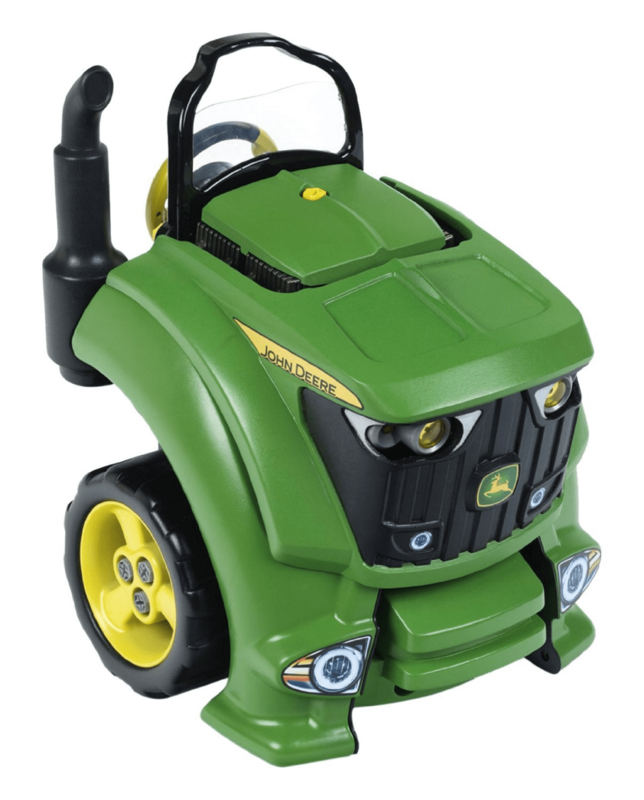 Description: This “John Deere” toy will have your child scooting around the house all day long! With two musical tunes and a stand up rear walker bar so that parents can push their child along, both you and your child will have a blast with this ride on toy! Not only is this toy fun to ride but it’s kid powered scooting motion is safe and will get your child moving! Description: Working headlights, realistic sound effects, MP3 jack with powered speakers… How can this get any better? 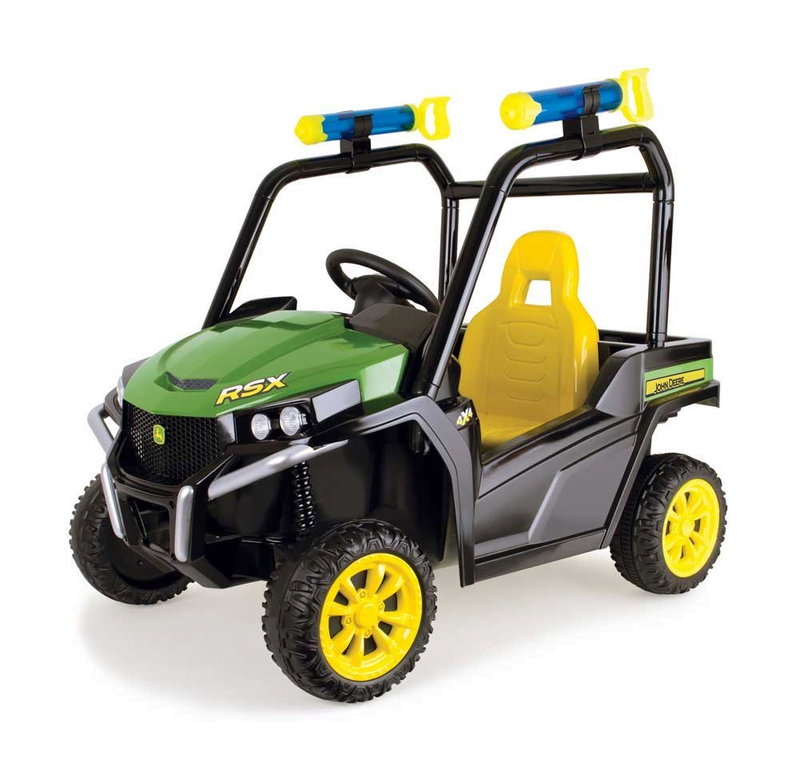 With crazy, advanced features like those listed above and DirectDrive nonslip tire traction strips, 2.5 mph forward and reverse features, and 6 volt rechargeable batteries this “Gator” is probably the most life-like ride on toy on the market! Description: Fix, unfix, repair, and unpair some more! 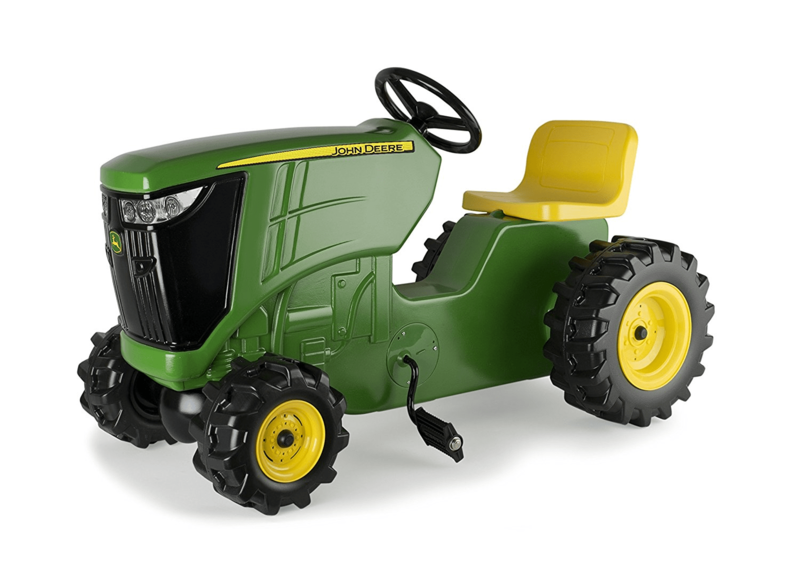 Your child will have a blast with their “John Deere Tractor Engine” with removable and fixable parts.This tractor is over 27 inches tall and has 15 play functions.With numerous repairable parts that can be mounted and removed and replaced: the engine, spark plugs, wing nuts, wheels, radiator grille and many more will have your child entertained for more than enough time! 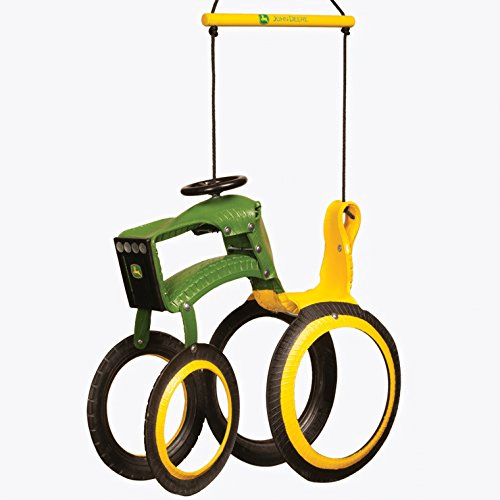 Description: You know you loved swinging from that giant tree in your backyard as a kid, and your child will love this tractor tire swing too! Life-like details and detailed coloring and logos will make this a toy that your child will be telling his/her kids about! But what’s even greater about this toy is that it’s safe and sturdy design make sure that no one gets hurt during playtime in the backyard! 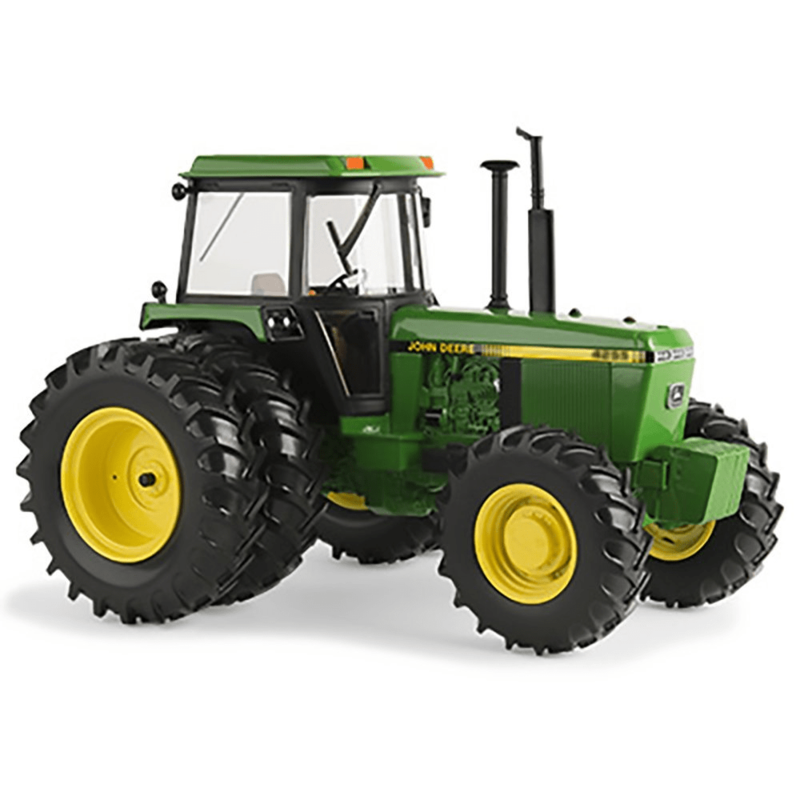 Description: Your “too cool” teen will absolutely love this “John Deere Tractor replica”! It’s extremely life-like features make it as close as possible to the real-deal! This is one to add to that crazy collection of toy trucks he’s had since he was 4! Description: Details like brand new tooling and plastic construction are what make this toy truck a real looker! But what’s great about this truck is that not only is it a great collectible, but it’s also great for playtime in the sandbox, racetrack, and playing pretend! 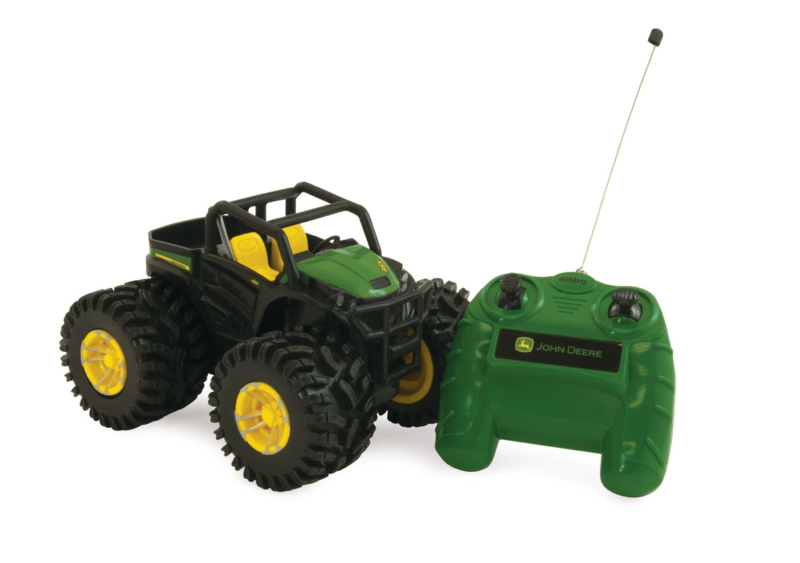 Description: Your child will have a blast taking his/her’s new remote control tractor for a spin! Equipped with standard forward, backward, left and right controls this toy isn’t your standard remote control toy! Great quality tires and plastic make it safe and durable to last your child endless hours of fun!